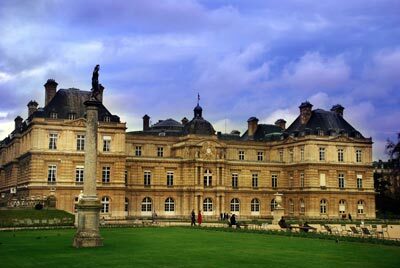 Luxembourg City has become a very popular tourist destination. It is the capital of the Grand Duchy of Luxembourg. This beautiful city is situated in the heart of Western Europe and is just 372 kilometres from the French capital of Paris. Thousands of visitors come here every year to enjoy the scenic beauty of Luxembourg City. Car rental is definitely the best option to explore the beautiful sights of this gorgeous city. Accommodation is not a problem in Luxembourg and you can find a number of hotels which suit your budget. These hotels are well known for providing high quality services to their guests. Moreover, shopaholics can enjoy a lot here as the city is full of shopping complexes. Major tourist attractions of this charming city include the Casemates Bock, Neumunster Abbey, the Place Guillaume, the Place d'Armes, the Grand Ducal Palace, the Pétrusse Casemates and many more. Apart from these, a number of pubs and nightclubs are also here for those who want to enjoy the stunning nightlife. Car hire solutions are highly recommended to the tourists for enjoying a great holiday in this attractive city. The Casemates Bock, one of the most visited sites of the city, was built in the 18th century. It is a network of underground fortifications and is recognized as a World Heritage Site by UNESCO. Ville Base, the valley made by the River Alzette, is also a site worth visiting. Here many cafes, pubs and shops are waiting to provide a lot of enjoyment to the visitors. At Neumunster Abbey you can find a beautiful church which is a treat for your eyes. There are a number of restaurants and pubs in the old town too and you can enjoy a great meal while exploring the beauty of this historical place. The Place Guillaume or the Knuedler is the venue for a market every Wednesday and Saturday. Here you can also see an equestrian statue of William II. The Grand Ducal Palace is a notable attraction of this marvellous city and it is home to the Luxembourgish Parliament, the Chamber of Deputies. Furthermore, the Cathedrale de Notre Dame, built between 1613 and 1618 is now a beautiful memorial for the soldiers who lost their lives in World War II. The Luxembourg American Cemetery and Memorial and Musée d'Art Moderne Grand-Duc Jean are some other must visit sites of Luxembourg. Luxembourg car rental is a must for those who want to make the most of their time in this most beautiful part of the world. When traveling with family and children, we recommend you select a car with enough space for luggage and enough space to fit child seats. Children must travel save in a child seat/booster depending on their weight or how tall they are. Rentalcargroup.com offers a wide range of variety of station wagons, mini vans in Luxembourg. The average rental car length in Luxembourg is 1 days. Last year, the most booked rental car type in Luxembourg were INTERMEDIATE ELITE cars. Last year, how much did it cost to rent a car in Luxembourg? Last year, the average car rental price was 99 USD. How much did it cost to rent a car in Luxembourg over the past 12 months? Last Year, the average rental price was 99 USD per day. The car rental companies available in Luxembourg are: . See below last 5 customer reviews. Our customers rated Luxembourg Car Rental with an average of 0.00 based on 0 ratings.